BEND, OR—Verifying that the size of the field is about right for a five-on-five game, reports out of Hillside Park confirmed Wednesday that the end zones are the two big trees and the edge of the parking lot. According to sources at the scene, the blue sweatshirt behind the trees marks the back of the one end zone, while the dirt patch near all the backpacks on the far side is said to be out of bounds. Early reports also indicated that there’s no tackling near the parking lot because it’s pavement and Adam fucked up his knee over there last time. 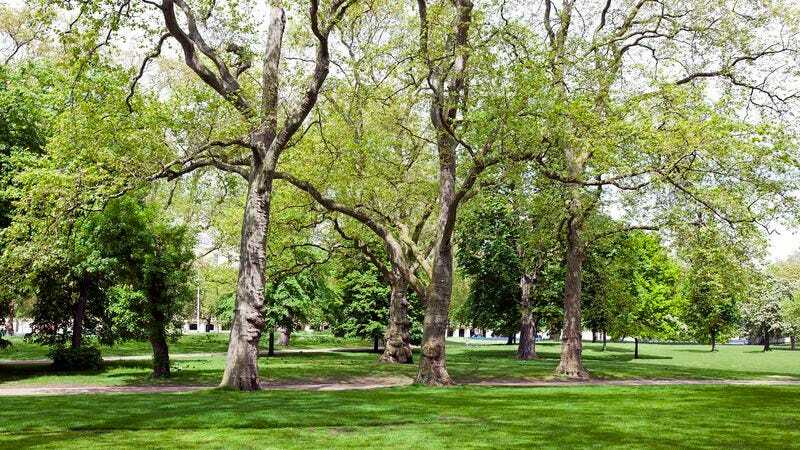 At press time, several conflicting accounts surfaced suggesting that the two big trees are actually too close together, and someone should reportedly just find two sticks big enough to shove in the ground instead.